Chestnut Mountain perches high on a ridge overlooking the Mississippi River near the historic riverport of Galena. Nineteen ski and snowboard trails cut through solid rock bluffs range up to 3,500 feet in length and are geared to all levels. 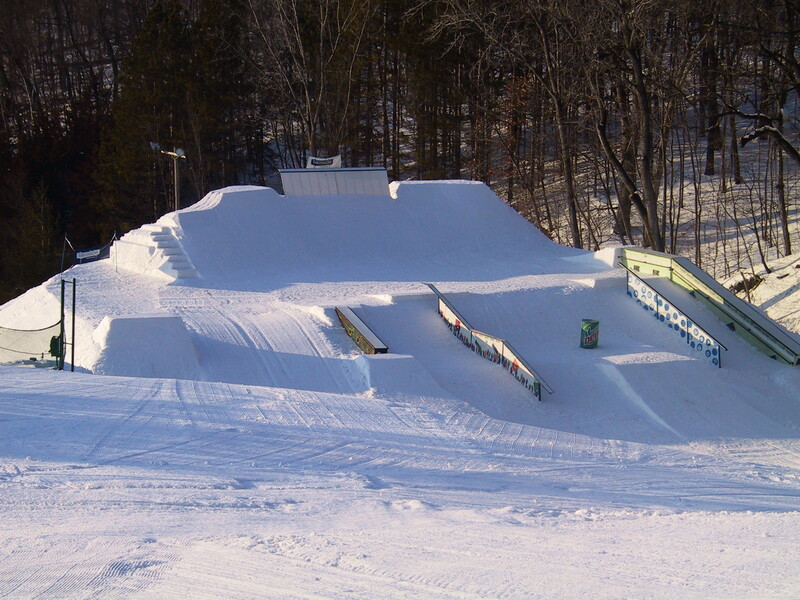 The seven-acre Far Side Terrain Park, complete with its own triple, features a quarter-pipe, two halfpipes, and lots of rails, kickers and jumps. Chestnut, with the hotel and Village Ski Center located on top of the ski hill, features a 475-foot vertical drop, which is big in this part of the Midwest. Airport shuttle, three restaurants, three bars, apparel shop, rentals, lessons with magic carpet to make going up the mountain easier for beginners, ski patrol, ATM, laundry service, and daycare. Just eight miles from Galena with its many shops, restaurants, and historic sites. Free Wireless. Get Snow Reports, Powder Alerts & Powder Forecasts from Chestnut Mountain Resort straight to your inbox!